Clean your indoor air of allergens like pollen, dust, mold spores and pet dander eith a permanent electrostatic air filter. We are an authorized Air-Care Electrostatic Filter Dealer. All of our washable ac filters come with Lifetime Air-Care warranty. Your satisfaction is 100% guaranteed! (2) Choose your size from the drop-down menu above. Note: The Standard Sized filters are 'Nominal' sizes. The actual filter frame size will follow industry standard and be 3/8' undercut (i.e. a 12 x 20 will measure 11 5/8' x 19 5/8'). The width of the frames are 7/8'. (3) If your filter is a non-standard size, choose "Custom" from Filter Size menu and enter exact size in Box. 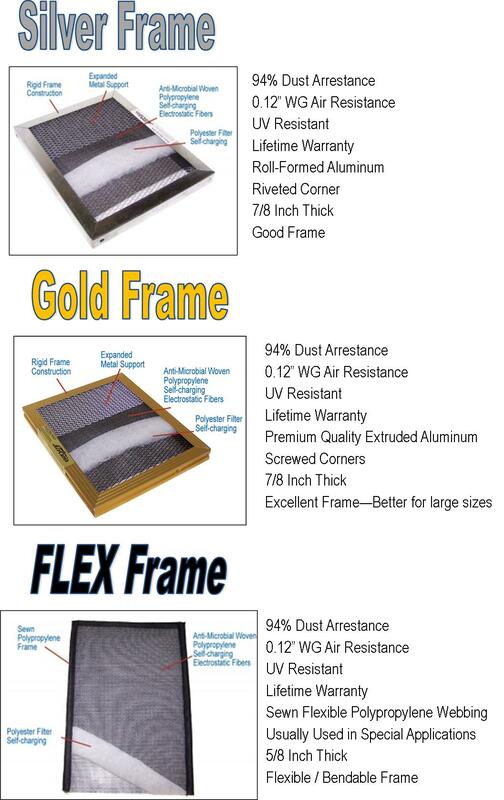 **Please Note: ALL flexible filters are 1/2 inch thick. Be Careful! Not all electrostatic filters are the same! It is very important that air filters have LOW AIR RESISTANCE so they don't make your central air unit work harder. This can lead to higher energy bills and eventual damage to your HVAC unit. Our permanent electrostatic air filters feature a low 0.12 WG air resistance rating. 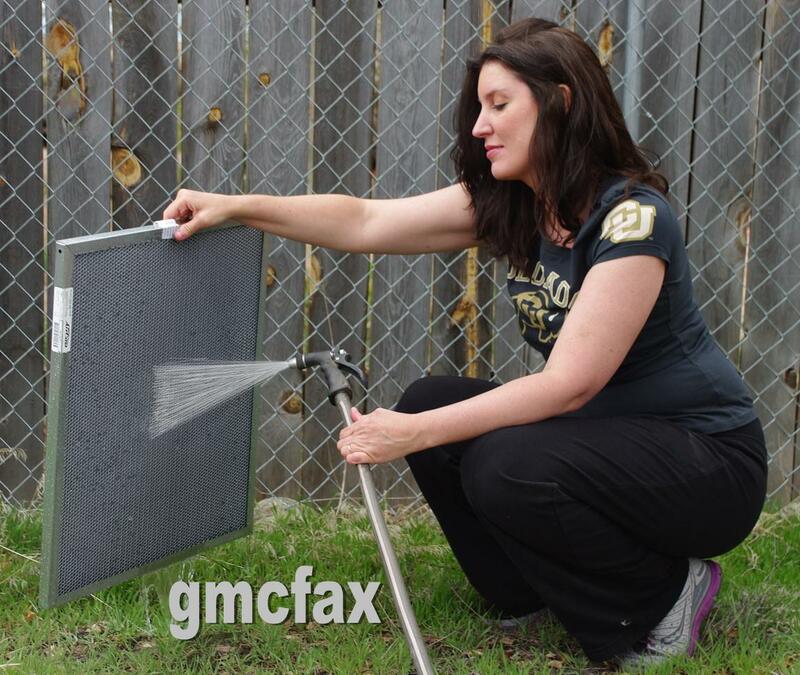 If you clean our filters regularly (every 30-60 days), they will clean your air AND protect your air handler. 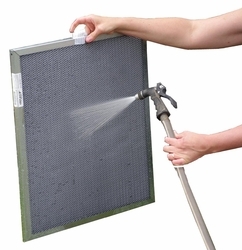 Easy to Clean -- These washable AC filters are tough and can be vacuumed off, hosed off outside (or in the tub/shower) or cleaned with compressed air. The Electra 9400 is designed to provide the high dust arrestance and low air resistance. The 0.12 inch W.G. initial resistance of the Electra 9400 will perform best in systems configured with 1 square foot, or more, of filter area for each ton of air conditioning. Two layers of woven monofilament polupropylene with integral anti-microbial material provides 10 times more filtration than a disposable fiberglass filter. The deep loading center layer of non-woven polyester allows the Electra 9400 to prolong the time between washings. These permanent Ac filters are designed to last! Our permanent AC filters will last you for years to come. Order now to start saving!